says that it was always her dream to see her "baby sister" as a bride. She added "I had a wonderful time at the wedding and it was indeed a perfect winter wedding. and it was also what I had dreamed of for her." It was a beautiful intimate ceremony with our loved ones and everything was just perfect. I had always wanted to see my baby sister as bride and the dream had finally cometrue. "told Nimrat. ceremony (traditional Sikh wedding) here on Wednesday. Talking about her ethnic attire Nimrat said, "It was a traditional Punjabi Sharara in a mint green color with antique gold work on it all around and it was absolutely perfect. I have been swamped with compliments ever since. I felt like a complete bridesmaid and could not have wished for more. I just can't stop looking at the pictures. The designer duo has described Nimratas the "perfect" muse. Dressing the beautiful Nimrat was a sheer pleasure. As Sikhs ourselves we understand the sentiment and feel of a Anand Karaj in the morning. The color was perfect keeping the weather in mind and the silhouette classic yet comfortable they said in a joint statement. Post Your Comment for Simply Special!! 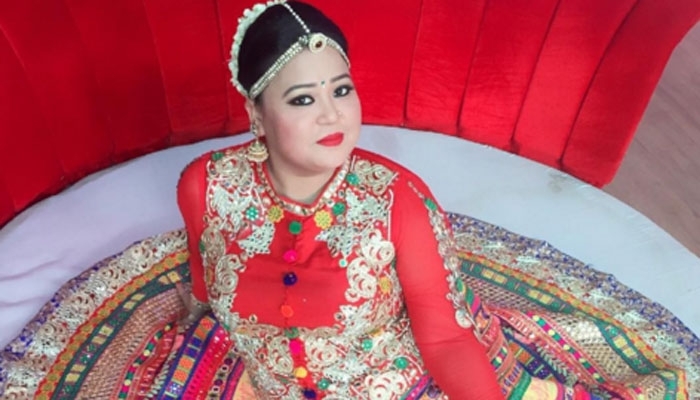 Laughter Queen Bharti Singh might be flirting with every male celebrity on her shows, but in real life she is very particular about whom she wants to spend her life with, and that someone special is Harsh Limbachiyaa. According to reports, the funniest woman on Indian television Bharti Singh is dating the writer of her show Comedy Nights Bachao, Harsh Limbachiyaa, and Bharti Singh plans to settle down towards the end of 2016. In a recent interview, Bharti revealed her wedding plans - 'he should be a mature and a quiet person,' she said. Bharti said she plans to settle down by the end of 2016, but did not reveal the name of her beau. Like every other girl, I too have a dream of getting married. In fact, my parents want me to marry as soon as possible. However, I am planning to get settled at the end of 2016," she said. Honestly, even I want to see myself as a typical housewife who is making chapattis for her children. I want to lead a normal life after marriage," she added. When asked what kind of a life partner she dreams of, she said, "Since my profession is to make people laugh, usually people assume that whatever I speak, it is meant for a joke. But that's not true. When it comes to choosing a life partner, I want him to understand me. He should be a quiet personality with full of maturity. In reality I speak a lot, so I want him to listen to me very carefully and love me a lot." Guess our dear 'Lalli' has found all these and more qualities in Harsh. Easyshadi.com wishes the cute couple a great life together! 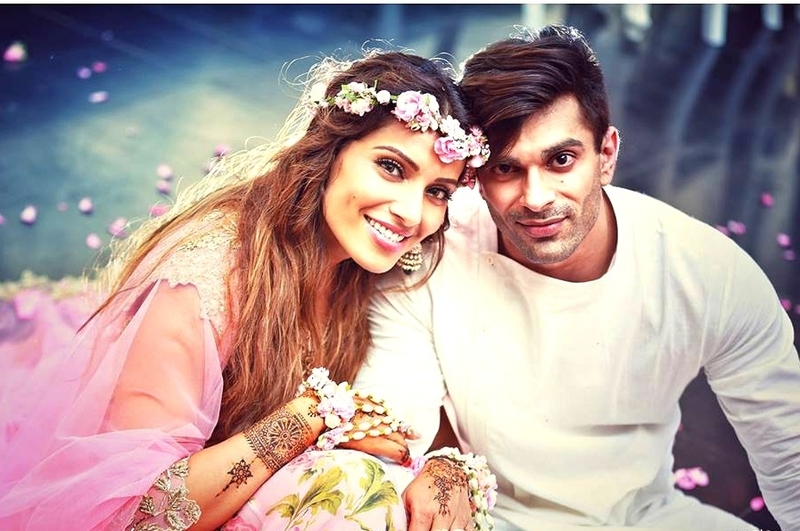 Actress Bipasha Basu married her long time beau Karan Singh Grover according to Bengali rituals at an intimate ceremony and on April 30. Well, for a wedding so candid, happy and above all, public we were very impressed with Karan and Bips for their nonchalance. They did not hide or go secret they enjoyed their wedding in public glare, with smiles. Bipasha, who looked stunning dressed as a traditional Bengali bride in a Sabyasachi ensemble, shared stunning pictures from the do and the reception party on Instagram on Monday. The couple had made us go aw with their adorable pictures from the Mehendi ceremony and, later, the wedding. However, the highlight of the wedding was KSG singing Maroon 5's 'Sugar' for his lady love and the couple dancing their heart out. Bipasha and Karan and guests like actresses Malaika Arora, Lisa Haydon, Dia Mirza, and Aditi Gowitrikar, singer Sophie Choudry and writer Preeta Sukhtankar were the party rockers. Hand-in-hand, Bipasha and Karan made a stylish entry to the reception party. Bipasha looked beautiful in an embellished anarkali by Sabyasachi while Karan opted for white tuxedo and black pants. Bipasha also shared a family photograph which includes her parents mother Mamta Basu, father Hirak Basu and sister Vijayeta, and her in-laws along with others. Preity Zinta has a private wedding in the US on 29th Feb this year. But she and hubby finally had a big fat Indian wedding celebration on 13th May (Friday night) in a true Bollywood style. 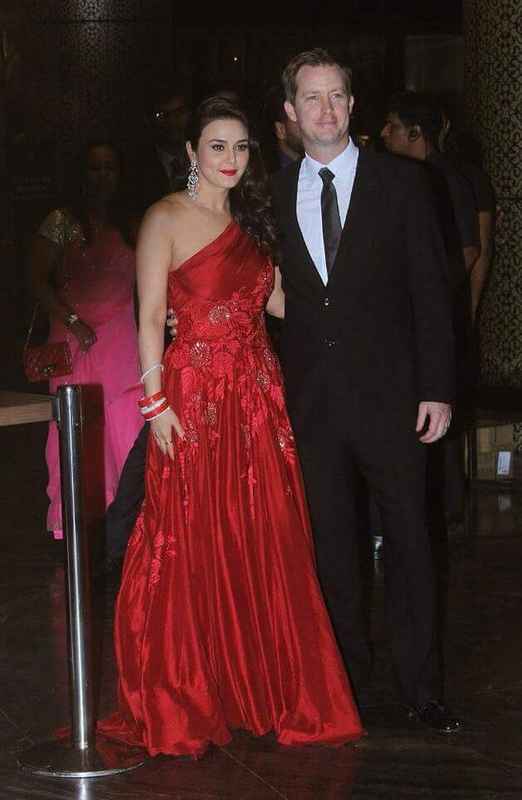 Preity looked stunning in a red off-the-shoulder gown as she and long-time beau Gene Good enough greeted who's who of B-town during the star-studded event held Friday night. Here are some pics from the evening. The paparazzi were in full force to compliment the stars, who descended on the occasion there was a side show in Salman Khan and his current obsession Lulia Vantur. Both of them came in different cars. Actor Dino Morea attends Preity and Gene's reception. On the right, director-actor Farah Khan. Three dashing men of Bollywood- Madhavan, Abhay Deol and Karan Johar. Hazel and Yuvraj at Preity Zinta's wedding reception evening. Here are some great photos from Yuvraj and Hazels' pre-wedding photo-shoot for Harper's Bazaar. Madhuri Dixit and Dr. Sriram Nene attend Preity Zinta's wedding reception. On the right, another star couple- Lara Dutta and Mahesh Bhupati. Juhi Chawla looks stunning in a pretty pink-orange salwar suit. Preity's Jhoom Barabar Jhoom co-star Abhishek looks dapper in a black suit. Sushmita Sen-stylish diva of Bollywood and ex-Miss Universe- also attended Preity's reception. Director Divya Khosla and husband at Preity's reception. Dia Mirza is stunning in black. It seems like only yesterday that we covered their wedding and reception here newlyweds and parents-to-be Mira Rajput and Bollywood heart throb Shahid Kapoor at Preity and Gene's wedding reception.